Ill be there and bring two others from Florida. 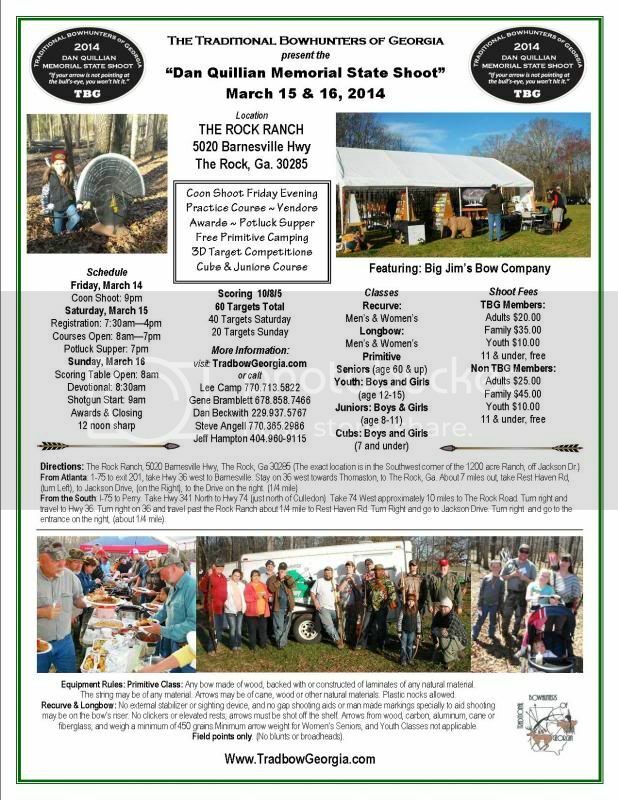 I shot with y'all last year and really enjoyed the folks,food,and competition range. Can't wait! Looking forward to seeing you again, Andy. Address for Google maps is 265 Jackson Drive, Thomaston, GA 30286. Y'all come see us. Thank to all who cam, shot, ate and had fun with us last weekend. This was a fine shoot and a good turn out. Our venue was way beyond good and included plenty of fishing, and catching. If you missed this year, please consider coming next year. Plans are for the 2nd weekend in March, 2015.